I received a voucher to buy the ingredients for this post. Weeknights are always busy in our house as the children attend various after-school clubs, so I always try and cook quick and easy meals that the whole family will enjoy. 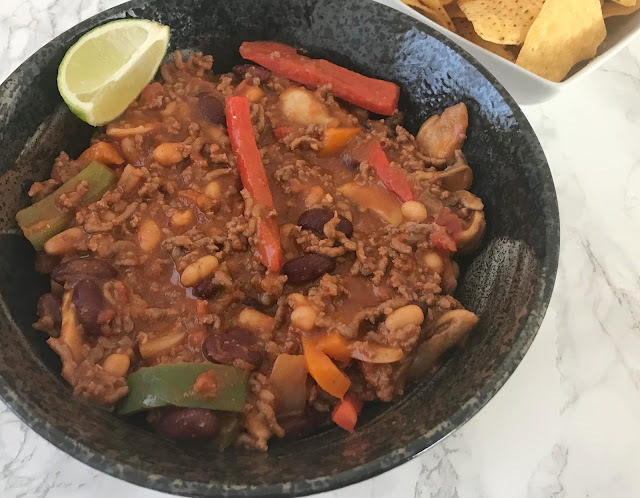 One meal that we cook almost every week is Chilli Con Carne and I use a recipe I adapted from when I used to attend Slimming World groups as it is packed full of hidden veg, is healthy and delicious plus beef is a source of iron which helps reduce tiredness and fatigue. This dish takes under half an hour to cook and you can make it in just one big pan, saving on the washing up too - always a plus point in my household. I brown the mince off in a large pan which I spray with Fry light as I find this healthier than oil, I then add the crushed garlic, diced onion, mushrooms and peppers and cook until golden. I drain any excess water off and then add the chilli powder, I add 2-3 tsp but I would say add to taste as some people prefer it spicier or milder. I then add the tomato puree, crushed oxo cube, chopped tomatoes, kidney beans and baked beans and stir thoroughly. I leave to simmer for about 10 minutes before serving with rice. I normally just have my Chilli Con Carne with boiled long grain rice, sometimes we have it with pasta as the kids prefer it this way. The children also like some grated cheese and tortilla crisps and my teen always add a dollop of sour cream to hers too. We find that one pan of chilli feeds the four of us (My 5 year old is a fussy eater and just has the pasta with cheese) and we normally even have some left over which I normally put in the fridge and have on a jacket potato the next day for lunch. This Chilli recipe was classed as syn free when I was on the Slimming World Plan in 2018 but please double check all ingredients are still free foods. Obviously, the cheese, sour cream and tortilla chips are not free foods and will need to be synned accordingly. This post is an entry for the #MeatMatters challenge, sponsored by Simply Beef and Lamb. Learn more about the benefits of cooking and eating beef and lamb along with recipe ideas and inspiration here. 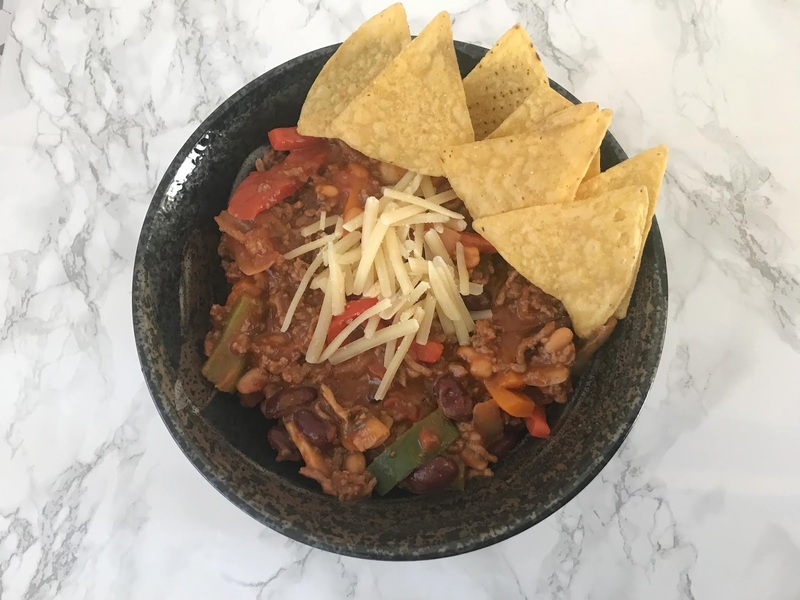 A chili to enjoy guilt-free? Yes, please! 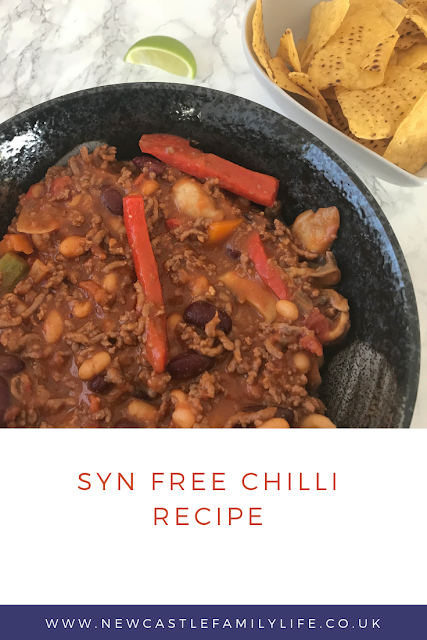 Ooh I love chilli and this sounds like a really fab healthy alternative recipe. l will give it a go! I will be trying my own version of this recipe, adapted for fussy eaters. I will also buy some tortilla chips and sour cream. I am sure my family will love it so thanks for sharing. I've been on SW for a few weeks so will be defo trying this soon! Thanks! Definitely going to try this, looks so healthy and delicious! 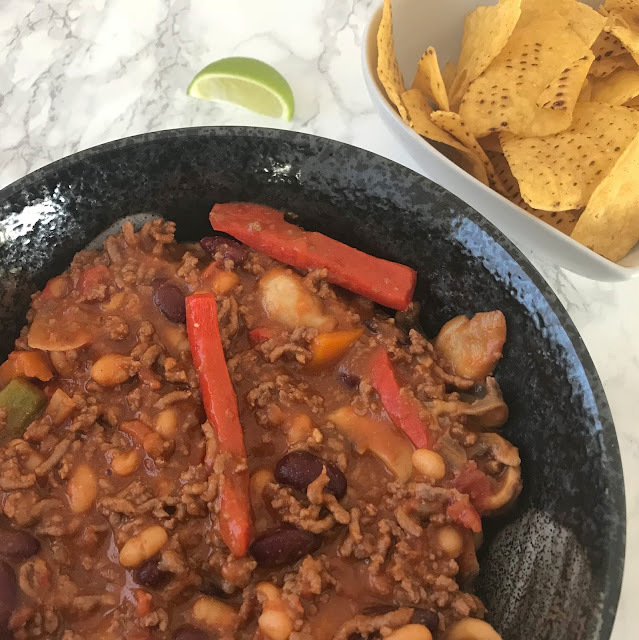 We love SW chilli - cook it once a week, every week!